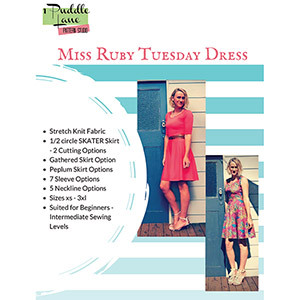 MiSS RUBY TUESDAY DRESS - will be your GOTO dress for summer or winter, night or day. It's a stretch knit dress - so that means - NO ZIPS! A truly beautiful dress to sew and wear but with so many options - you will produce a different dress each time you sew it. This is the womens version of the Little Miss Ruby Tuesday Dress. This is an advanced beginner to intermediate level sewing pattern. This pattern is available in US sizes XS to 3XL. 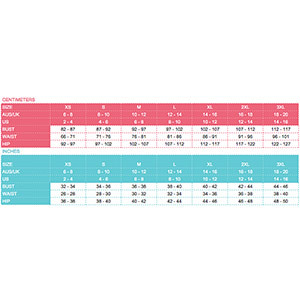 Suggested fabrics are cotton lycra, cotton jersey, cotton ribbed, and lycra spandex.